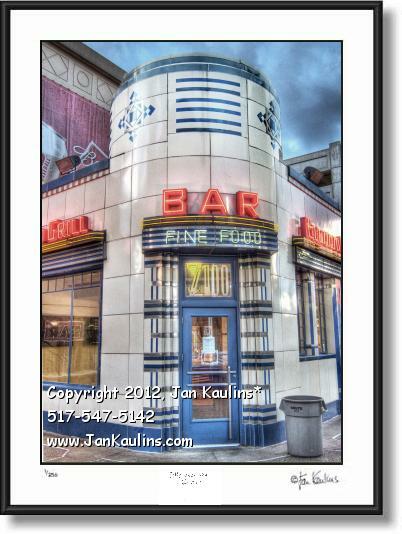 ELWOOD BAR AND GRILL Detroit photo art print picture photograph for sale. This ELWOOD BAR & GRILL Detroit photo print picture photograph for sale is made from nine bracketed photographic exposures which give it this artistic perspective. This Elwood Bar and Grill photo was taken just after sunrise on the morning before the 2012 World Series in Detroit. The scene would change radically at this historic Detroit landmark in a few hours when the Detroit Lions played at 1:00 and The World Series was played at Comerica Park that same evening.